It is becoming more and more common nowadays to hear your doctor say that you have had an anxiety or panic attack. Not that the problem has become commonplace, but these cases are finally being recognized for what they really are. However, there is another problem that shares some of the same symptoms as panic attacks, and it is as dangerous condition as any: hypoglycemia. We need to recognize the similarities and, more importantly, the differences in order to avoid making a mistake and a wrong diagnosis during a panic attack or a hypoglycemic crisis. The first step is to know the differences. The panic syndrome is a physiological phenomenon caused by a psychological state of acute anxiety. Under these conditions, the brain induces the body into extreme stress. On the other hand, hypoglycemia is a physiological disorder caused by a sharp decrease in the amount of sugar in a person’s blood. Usually, there is also an increase in insulin that tampers with the way our metabolism works. It can be transient or chronic (hypoglycemic disorder). How is it possible that two very different things can be confused? When both conditions manifest themselves, they present some of the same symptoms, which can easily result in a mistaken diagnosis. 3 ways to distinguish between the problems. Generally, someone with low blood sugar levels presents a more pungent breath due to changes in the metabolism. It is a symptom not found in patients under suspicion of suffering from anxiety disorders. Despite feeling as though they are about to lose consciousness, someone having a panic attack hardly ever passes out. A person suffering from hypoglycemia, however, may faint easily and quickly. 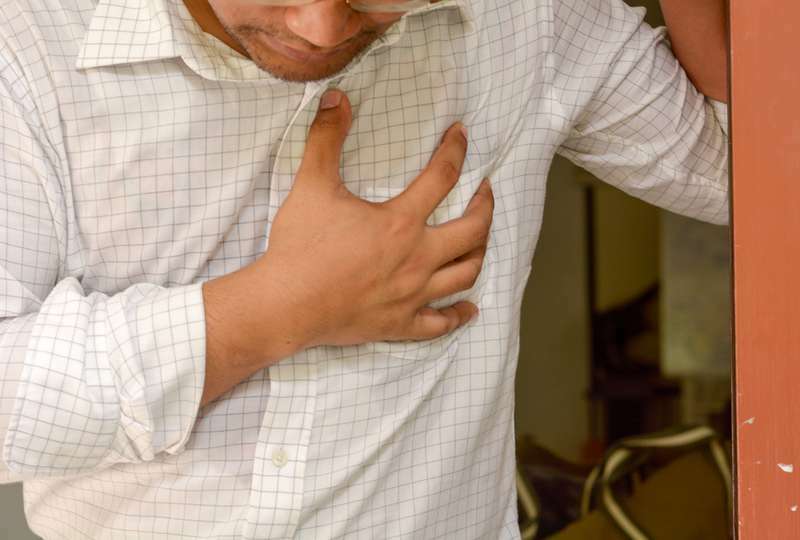 When feeling a severe pain in their chest – that intense kind of pain often associated with a heart attack – it is likely that you’re having a panic attack, since this symptom does not manifest in cases of hypoglycemia. A form relief to panic attack comes from someone else’s help, by their supporting and helping the patient relax. This is practically impossible when it comes to hypoglycemia, since you need an intake of glucose in order to recover.